Kevorkian: 'Bizarre Crank' Or 'Pioneer'? Jack Kevorkian, the man known as "Dr. Death," died Friday at a Michigan hospital. 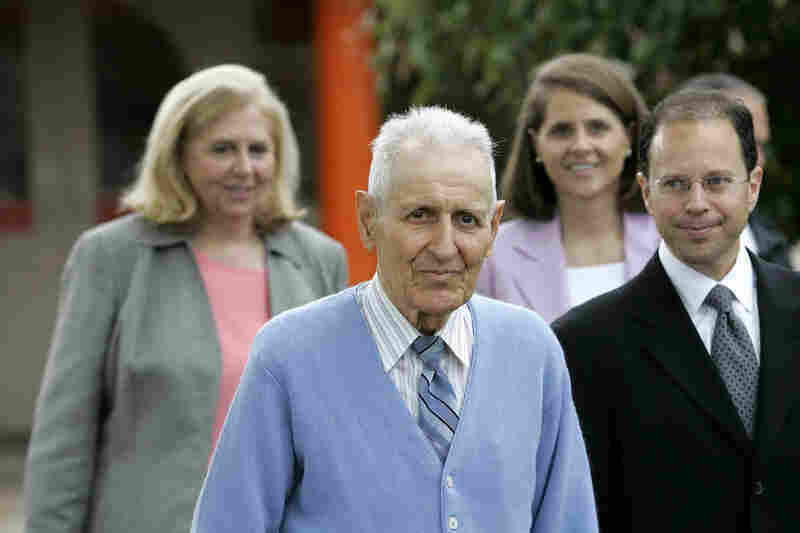 Kevorkian, who claimed to have assisted in at least 130 suicides, was released from prison in 2007 after serving eight years for second-degree murder. 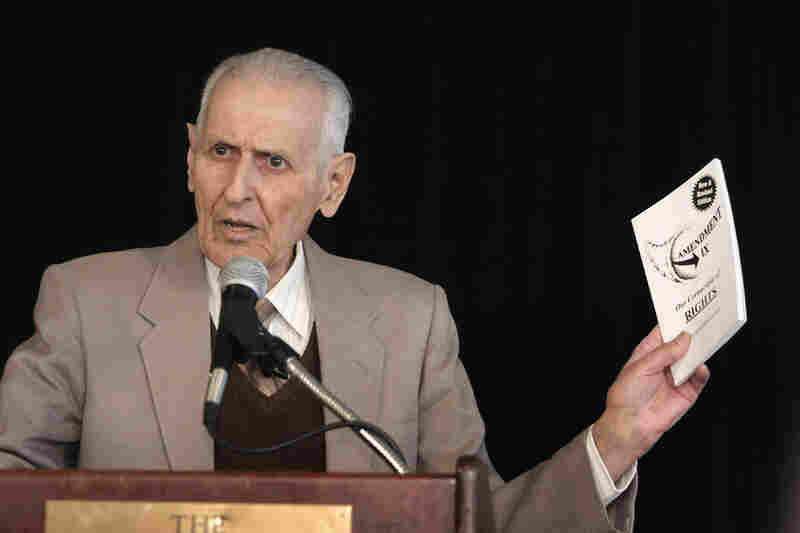 Dr. Jack Kevorkian, the assisted suicide advocate, died Friday at 83. Supporters say he was a compassionate caregiver who paid a steep price for helping chronically and terminally ill patients end their suffering. Critics, however, say Kevorkian's zealotry clouded his ability to behave like a responsible physician. 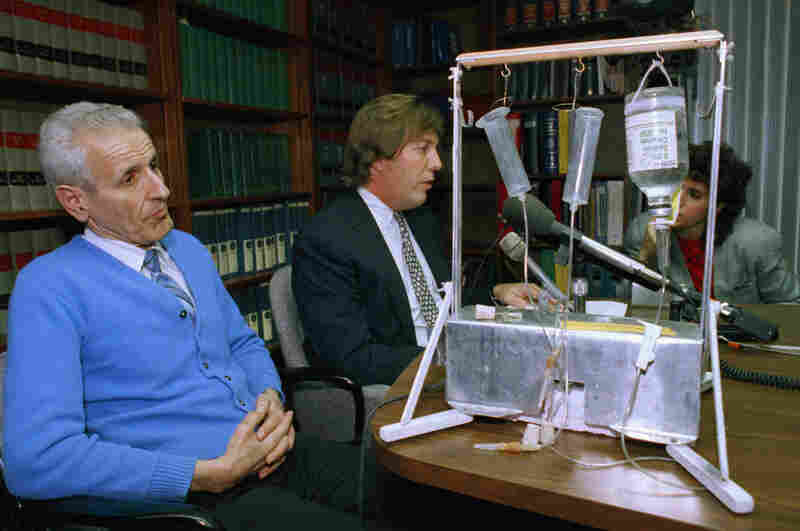 Dr. Jack Kevorkian, the pathologist who helped generate a national right-to-die debate with a homemade suicide machine that helped end the lives of dozens of ailing people, died Friday at a Detroit-area hospital after a brief illness. He was 83. Nicknamed "Dr. Death" and "Jack the Dripper," Kevorkian was thrust into public consciousness in 1990 when he used his homemade "suicide machine" in his rusted Volkswagen van to inject lethal drugs into an Alzheimer's patient who sought his help in dying. 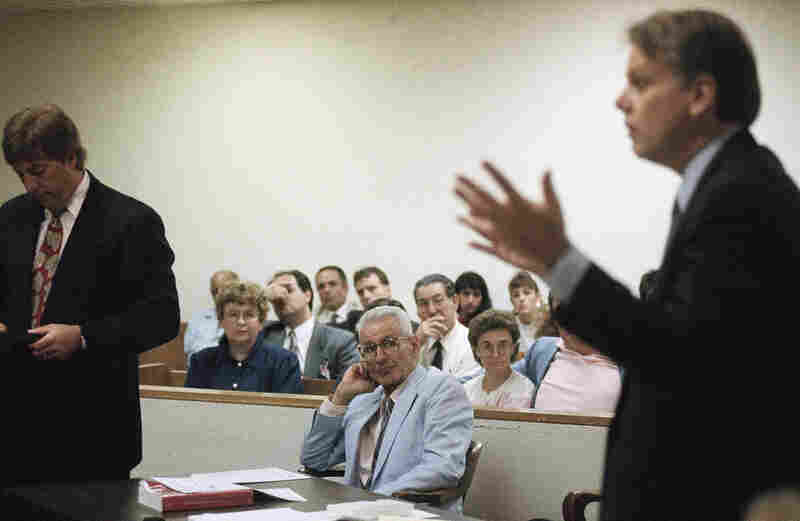 Kevorkian (left), then 62, listens as his attorney talks with reporters, Feb. 6, 1991. Pictured on the table is the machine he used to inject lethal drugs into 130 people. 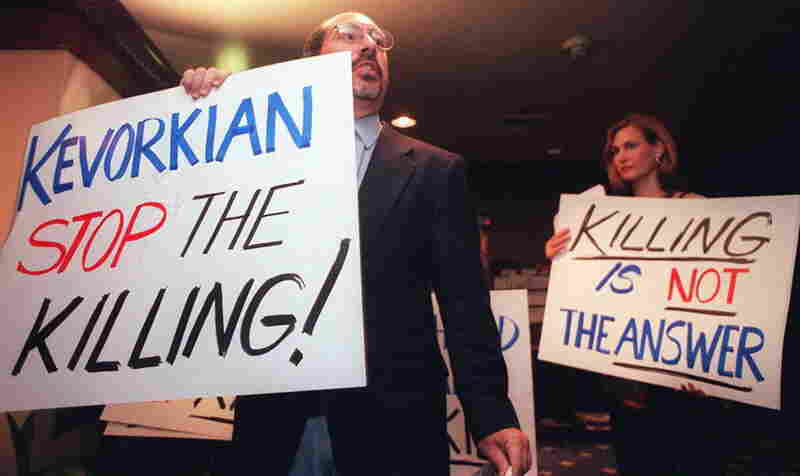 Protesters appeared at the National Press Club in Washington, D.C., in July 1996, as Kevorkian addressed a luncheon there. 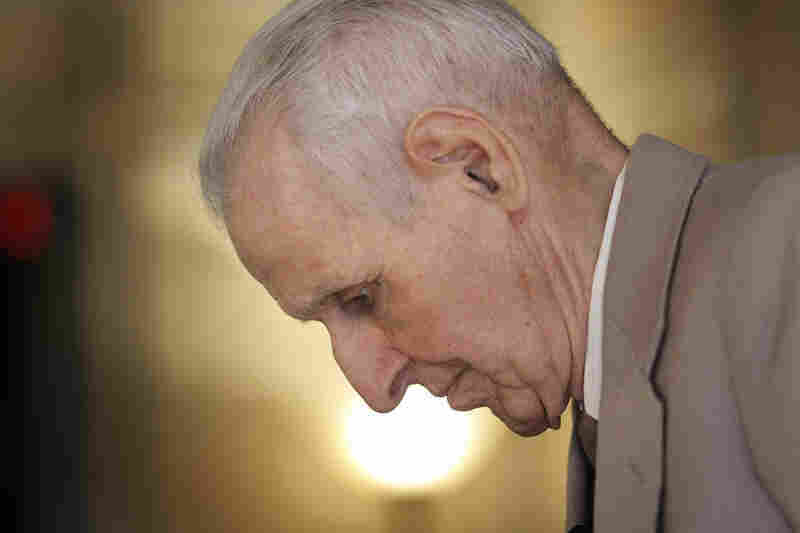 For nearly a decade, Kevorkian escaped authorities' efforts to stop the assisted deaths. His first four trials resulted in three acquittals and one mistrial. Here in a wheelchair, on the 11th day of a 1993 hunger strike, Kevorkian attends a preliminary hearing to face a charge that he violated Michigan's ban on assisted suicide. Michigan at the time had no law against assisted suicide; the Legislature wrote one in response to Kevorkian. He also was stripped of his medical license. Pictured here in 1993, Kevorkian (center) sits in a Detroit courtroom, charged with assisted suicide. 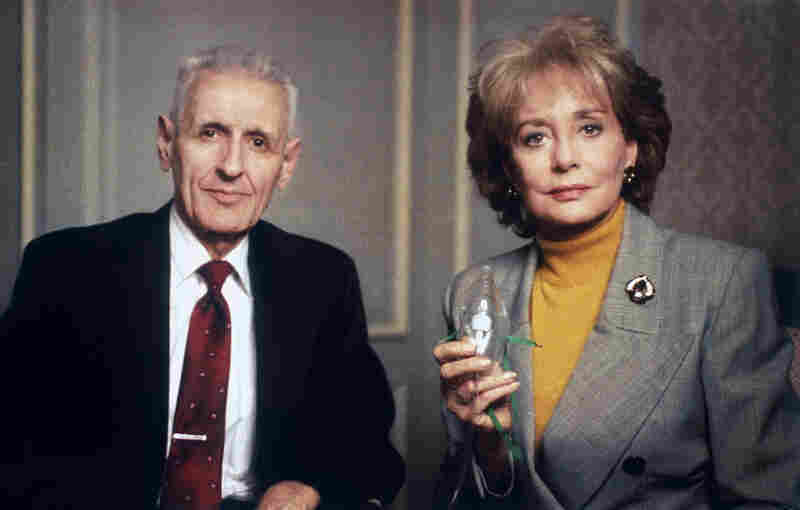 Kevorkian's agenda received national attention, including a special on 20/20 with Barbara Walters in 1993. Supporters credit Kevorkian with bringing attention to the neglected suffering of many patients. 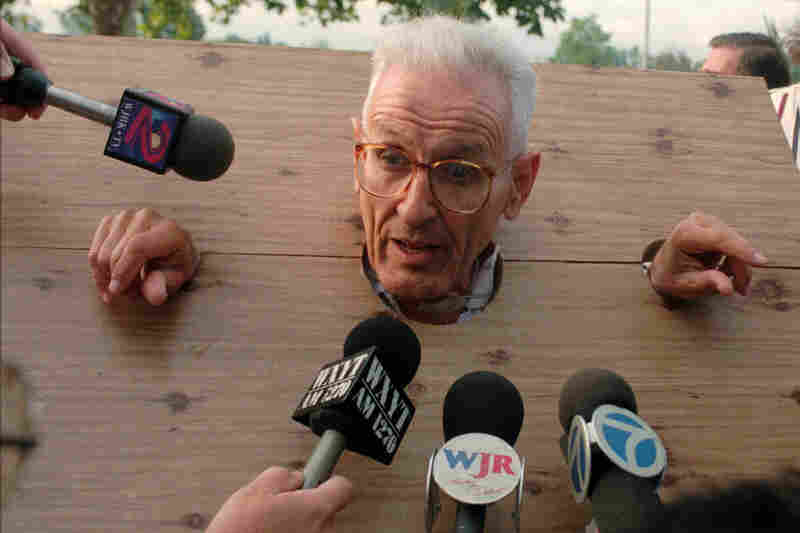 Displaying his flair for the dramatic, Kevorkian met the press wearing stocks he made himself before a court arraignment on assisted suicide charges in Pontiac, Mich., in 1995. Kevorkian was finally convicted – on a charge of second-degree murder — in Oakland County, Mich., Circuit Court in 1999, after assisting in the death of Thomas Youk, who suffered from Lou Gehrig's disease. Youk's death was videotaped and aired on the CBS news magazine 60 Minutes. 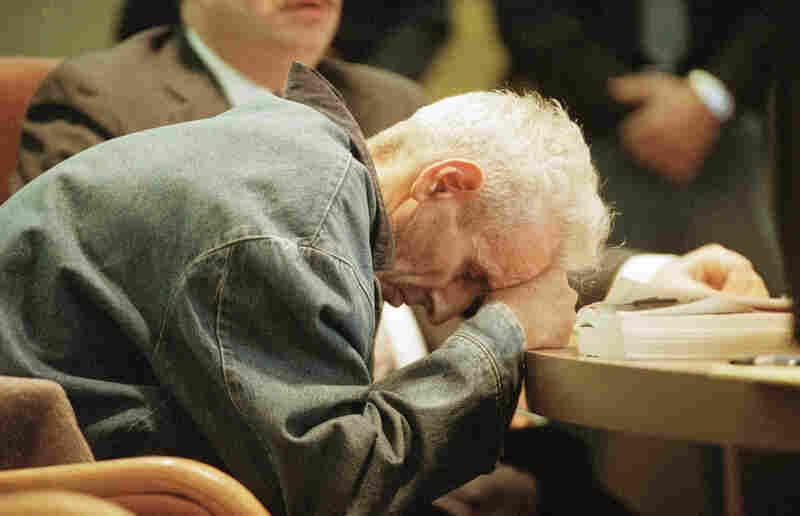 After nine years in prison, Kevorkian, then 79, left the Lakeland Correctional Facility in Coldwater, Mich. He was released with a parole pledge that he would never perform another assisted suicide. Throughout his life, Kevorkian dabbled in art. 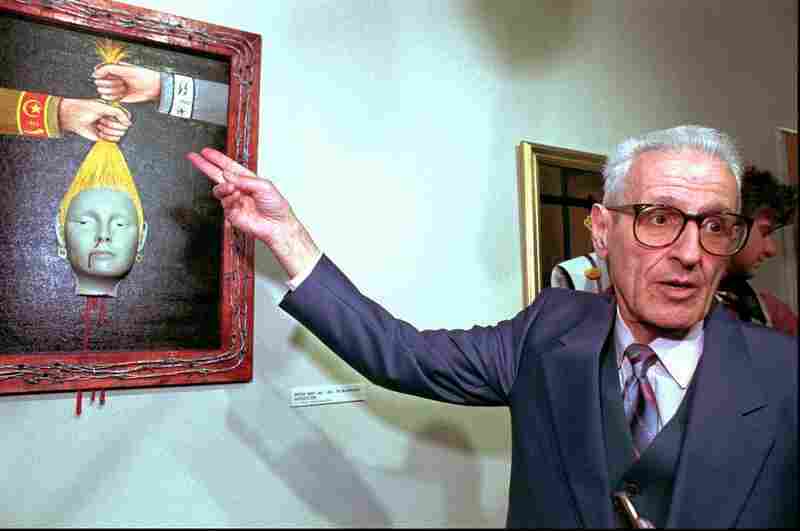 In 1997, he spoke to the media at the opening of his show at Ariana Gallery in Royal Oak, Mich. Kevorkian used some of his own blood to paint the frame red. Kevorkian launched an unsuccessful bid for a seat in Congress at a news conference in 2008. 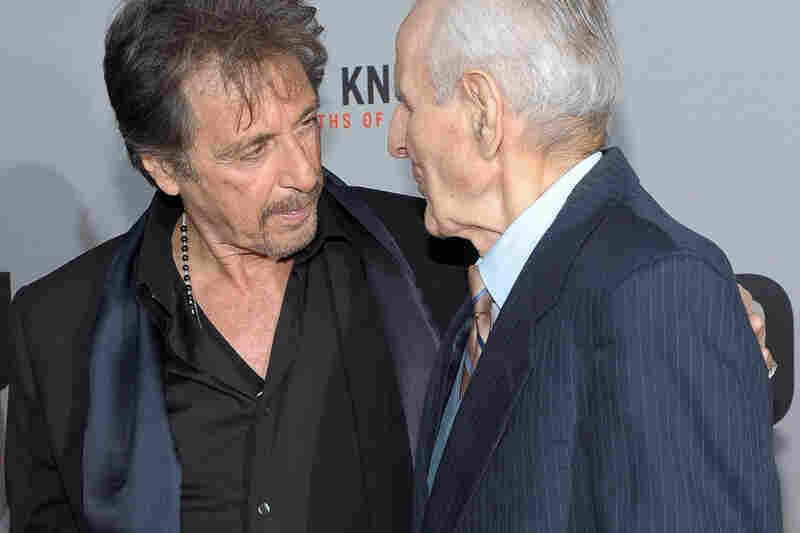 Kevorkian's life story became the subject of the 2010 HBO movie You Don't Know Jack which earned actor Al Pacino awards for his portrayal of Kevorkian. The two were pictured together at the movie's 2010 premiere in New York City. 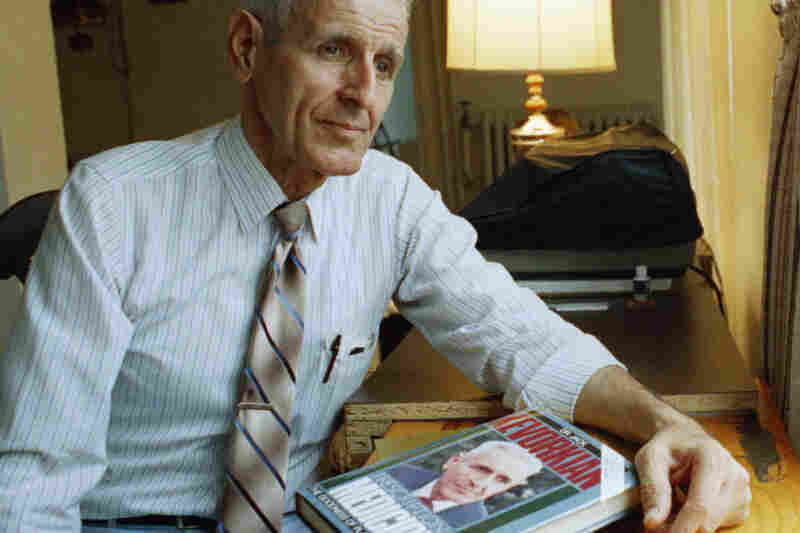 Kevorkian with his book Prescription: Medicide in 1991. Critics and supporters generally agree that his advocacy for the right of the terminally ill to choose how they die brought changes to hospice care in the United States. It will be very interesting 50 years from now to see whether Kevorkian is regarded by history as this sort of a bizarre crank or whether he'll be regarded as a modern medical pioneer. Kevorkian claimed to have assisted in the suicides of at least 130 people with the help of machines he invented. He called one the "Thanatron," or death machine, and another the "Merictron," or mercy machine. "It will be very interesting 50 years from now to see whether Kevorkian is regarded by history as this sort of a bizarre crank or whether he'll be regarded as a modern medical pioneer," said Jack Lessenberry, who wrote about Kevorkian for The New York Times and Vanity Fair. "I think we simply don't know." Kevorkian first captured the public's attention in 1990. 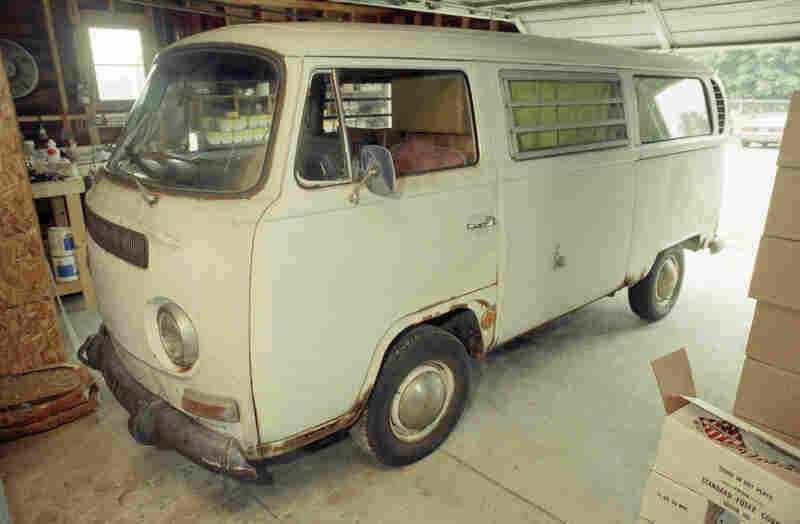 That's when Janet Adkins climbed into the back of his VW van in a suburban Detroit park, laid down and waited as Kevorkian put a needle into her arm. Adkins pushed a button on a machine and released a painkiller and a poison that killed her quickly, sparing her from a future with Alzheimer's disease. 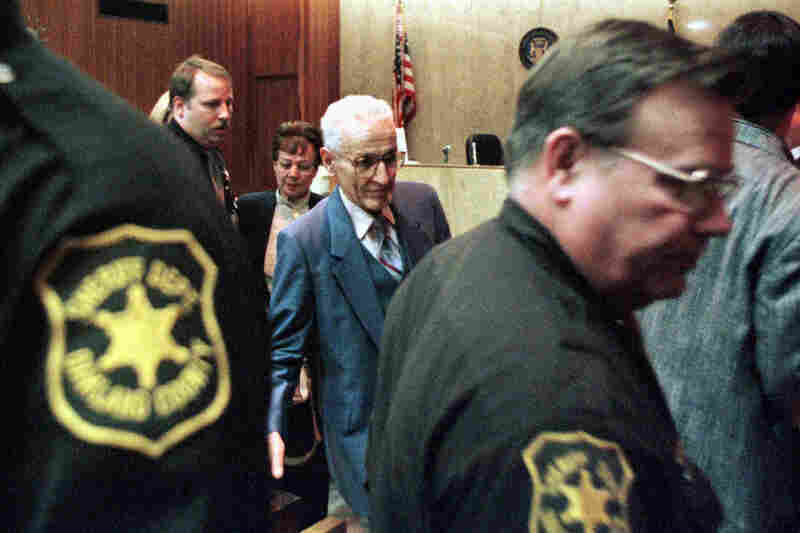 After a string of acquittals through the 1990s, a newly elected prosecutor said he didn't plan to bring charges against Kevorkian in any more cases. And the right-to-die cause was gaining traction nationally. But in 1998, Kevorkian helped Tom Youk, who had Lou Gehrig's disease, commit suicide. Kevorkian then sent a video of the process to the news program 60 Minutes. 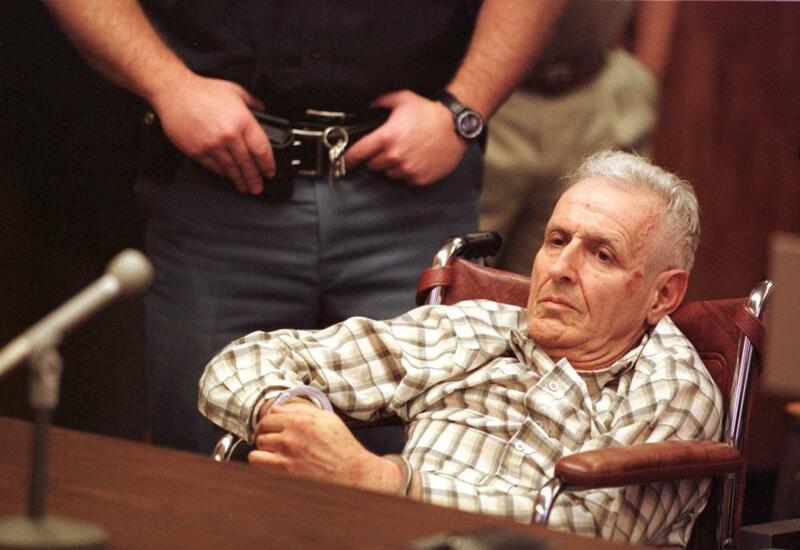 Dr. Jack Kevorkian sits handcuffed in a wheelchair during his arraignment on May 8, 1998, in Royal Oak, Mich. Kevorkian was charged with resisting arrest and assaulting a police officer while attempting to drop off a body at William Beaumont Hospital. In the video, Kevorkian asks Youk if he wants to go ahead with the procedure. "Shake your head yes if you want to go," he says. The difference this time was that instead of the patient pushing a button, Kevorkian administered the lethal injection. "A couple of my top administrators were at my house, we were watching the TV, and we all looked at it and said, 'Oh, this is going to be a bigger headache than we thought," says David Gorcyca, Oakland County prosecutor at the time of the broadcast. "He was begging to be prosecuted," Gorcyca said. Kevorkian was charged. He decided to represent himself at trial, and a jury convicted him of murder. Lessenberry said Kevorkian believed his conviction would be a catalyst for the right-to-die movement. "What he thought was once he was convicted, people would surround the prison and demand his release and the world would be safe for euthanasia. But when he was convicted he looked at me — I was in the courtroom — and said, 'I've got them right where I want them.' And they hustled him away. And the prosecutor looked at me and said, 'Prisoners don't usually get to hold press conferences.'" Kevorkian served eight years in prison. Once he was released in 2007, he kept a relatively low profile. He did some lectures and was scheduled to start a book tour later this month. But he went into the hospital a few weeks ago with pneumonia and kidney problems. He died in the middle of the night after a blood clot from his leg traveled to his lungs. Attorney Geoffrey Fieger, who represented Kevorkian for almost a decade, said the fact that his long-time client did not end his life in the same way he advocated takes nothing away from the cause in which he believed. "So you might say in a way, is it rather ignominious that Dr. Kevorkian in the end didn't choose to end his life the way that he helped patients? And I don't really believe so. I think everyone chooses the very end for themselves." Another attorney and friend who was with Kevorkian in the hospital said the nurses who cared for him played the music of Johann Sebastian Bach at his bedside in his final hours. Kevorkian once said in an interview that Bach was his god.